To understand the concept of justification and sanctification, as well as the differences between the two terms, you must first know the Biblical background. and the consequence of sin is death. Comparable to the justice system in our present society where law breakers are brought before a court, tried, and judged, God judges each individual and finds each one guilty and, therefore, punishable by death. Given that everyone has sinned and is destined for death, can you be saved? Or, can your salvation come from good works? The answers to these questions will help you make sense of justification and sanctification. Simply put, justification is God’s act of pardoning the sinner and declares the sinner as righteous in His sight. This is possible through the sinner’s faith in Jesus Christ, who was punished for the sins of everyone so that anyone who believes in him will no longer suffer the consequences of sin. In other words, Christ became the sinner in your place so that you will become righteous in the sight of God, which makes you justified by God’s standards. Yes, through faith in Jesus Christ and what He did. Your justification or being made right with God is through the obedience of Christ, and not through your good works. Because of Christ’s obedience and death on the cross, your past, present, and future sins are forgiven, and you are no longer subject to the punishment that was once due. Sanctification means “to be set apart". Morally, to be sanctified means to be pure or holy while spiritually, to be sanctified means to be set apart for God. God sets you apart from wrongdoings to be more like Him and Jesus Christ. Although a sinner is forgiven and made righteous by justification through faith in Christ, sin continues to remain but it is one thing for sin to remain in you and quite another for you to remain in sin. This is where sanctification comes in. Sanctification begins with justification. But, while justification is God’s act of forgiving your sins and counting you righteous through faith in Jesus Christ, sanctification is the continual work of the Holy Spirit in the believer in order for you to conform to the image of Christ, who is God’s son. And, while justification is a one-time act of God, sanctification is a continual process until you are taken to be with the Lord. Once the sinner is justified through faith in Jesus Christ, the faith must produce outward results, which is good works. Actions or good works that come from having faith in Christ is what sets real faith apart from a mere profession of faith. While your good works will not justify or make you right with God, good works are the evidence of your faith in Christ as well as in God. So, how can you produce good works? The Holy Spirit is the believer’s helper as He works within you to conquer sinful desires and inclinations as well as produce fruits of right actions or righteousness. This is the process of sanctification. Justification is a one-time act of God, which makes it complete and finished. Sanctification is a continual process since a believer is not completely freed from sin until the day of resurrection. Justification addresses the sinner’s guilt for committing sins. Sanctification addresses sin’s power and corruption over a believer’s life. Justification is God’s declaration that a sinner is righteous through the work of Jesus Christ. 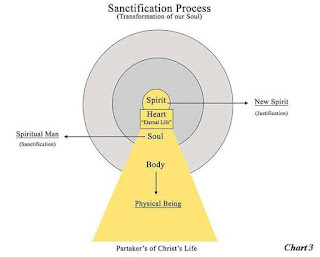 Sanctification is God’s transformation of a believer’s whole being, that is the mind, will, behaviors, and affections through the work of the Holy Spirit. To be justified, your good works are immaterial. To be sanctified, your good works are a necessary evidence of your faith in Christ, which the Holy Spirit enables you to do as you continually die everyday in your sin. Justification gives you the privilege as well as the boldness to enter heaven. Sanctification gives you the meekness for heaven, and allows you to fully take joy in abiding there. Understanding the differences between justification and sanctification may seem like an academic study of religion that could intimidate believers of the Christian faith, whether new or old. However, learning the distinction between the two terms could help you strengthen your faith and grow in your Christian walk. 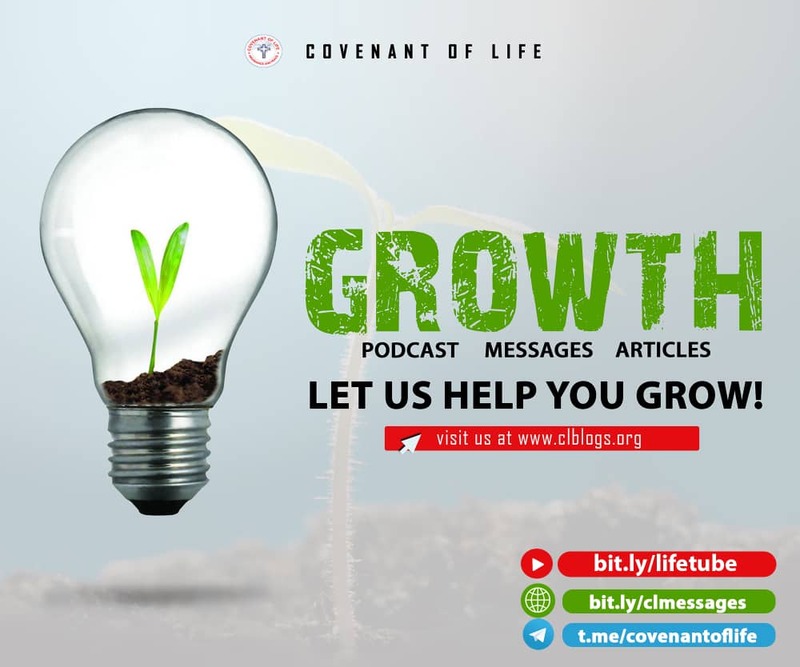 You can get our Audio Messages(Apostolic & Prophetic) here for free. Join our fellowship every 2nd Sunday, 3rd Friday & Sunday of the Month if you are close to our Matogun Centre in Ogun State, Nigeria. We will be glad to have you as you will be blessed joining us. Click here to read more about the Fellowship.